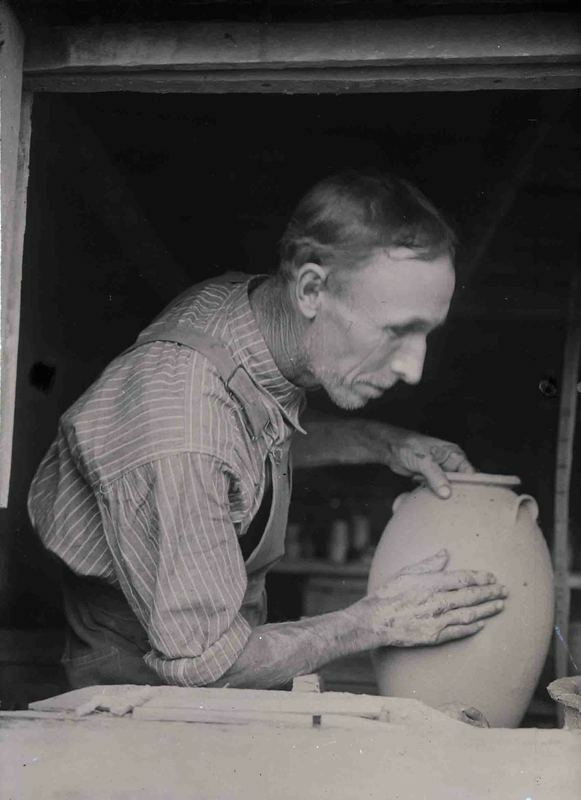 George Donkel with one of his pots. In the early twentieth century Reems Creek Pottery made pots for utilitarian purposes such as churning or storing milk or molasses. Mr. Donkel charged by the pot’s capacity at a rate of ten cents per gallon.